Media companies post 5 times more to social media and get up to 7 times more interactions than any other industry, but not all publishers are harnessing the full potential of their social media audiences. In this exclusive Socialbakers report, we look at how media companies can use competitive analytics and better content optimization strategies to drive interactions and site visits - crucial metrics for anyone involved in audience growth and development in the industry. We also go in depth, comparing Facebook and Twitter performance in 2014 for The Washington Post, The New York Times, BuzzFeed, The Huffington Post, The Guardian, and The Wall Street Journal to show you the importance of competitive analysis on social. 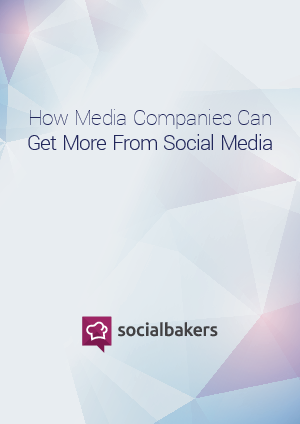 Download this Socialbakers report to know more on how media companies can get more from Social Media.